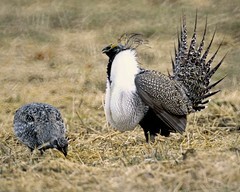 As further evidence that spring is here, sage grouse are displaying at Lava Lake Ranch! Ranch manager, Tim Bennett, has already seen record numbers of these unique birds this year. 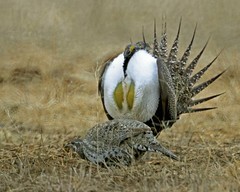 Sage grouse are in trouble, with numbers down by 90% over the past century. Ken Salazar recently listed the species in the category of warranted, but precluded from an endangered species status. The Department of the Interior hopes that voluntary efforts funded by increased resources will help improve sage grouse habitat. For example, the NRCS announced a sage grouse initiative, which helps private landowners voluntarily conserve sage-grouse populations and habitat on their working lands. Lava Lake has been working hard over the past several years to restore habitat for sage grouse and other wildlife at the main ranch. 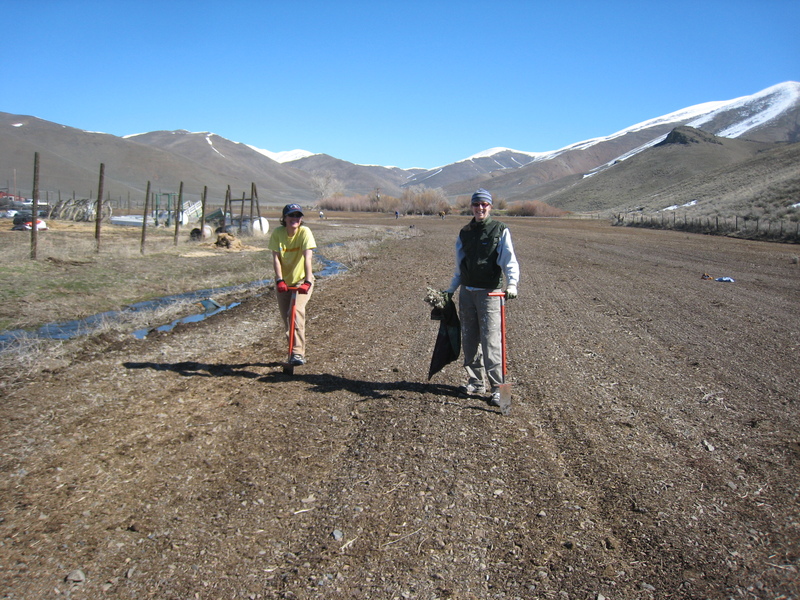 We’ve been restoring stream corridors and springs, by planting a diverse mix of native plants that provide hiding cover for sage grouse and their broods. With the help of many partners, a 22 acre area has been transformed into important habitat for sage grouse and will continue to improve over time as the wetland plants and native perennials become better established. The use of leks (breeding grounds) by sage grouse this year is an indication that all of the hard work in planning and replanting is paying off. We recently invited the talented photographer, Michael Edminster, to document some of these amazing species. He captured both of these fantastic sage grouse shots. Great post, Tess. Love Mountain Mike’s images. Please thank him for me.